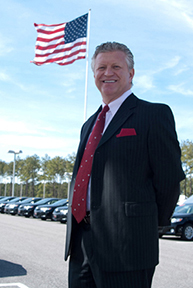 Our Goal at Eastern Shore Toyota is to focus the efforts of our entire organization on delivering outstanding customer service which exceeds expectations and to retain our customers through the greatest possible source of advertising; referrals, word of mouth, and an impeccable reputation. We are dedicated to providing our customers with such a level of care and attention that they become enthusiastic friends of our organization so that they may refer us to their friends and family with trust and confidence. We strive to provide our customers with an exceptional experience by continuously improving the quality of our staff, our facility and our processes. Eastern Shore Toyota is perfectly located between Mobile, Alabama and Pensacola, Florida, our dealership was built with the customer in mind. Free Coffee Indoor, Service Drive Climate-Controlled Service Bays, Convenient Mall Shuttle, Customer-Friendly Showroom that invites "browsing"
Family-Owned and Operated and as always, professional and courteous customer service! Eastern Shore Toyota... where it's ALL about YOU!